from 3 pcs. 7,38 EUR ea. from 10 pcs. 6,58 EUR ea. from 20 pcs. 6,19 EUR ea. from 40 pcs. 5,85 EUR ea. The magnets are packed in paper to keep them clean from small metal particles during transport. 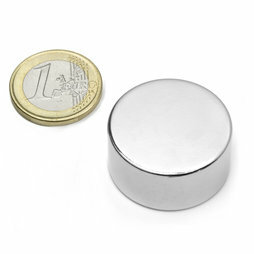 As a precaution, each of these large magnets is packed individually in a small carton box.